Welshpool Branch meet at the Bowling Club on the 1st Friday of every month at 2030, please contact the Hon. Secretary for further details. South Gloucestershire Branch meet at the Cricket Club on the 2nd Monday of every month, please contact the Hon. Secretary for further details. Rhondda Branch meet at Pembroke Street on the 2nd Wednesday of every month, please contact the Hon. Secretary for further details. Pembroke Dock Branch meet at Pembroke Street on the 1st Wednesday of every month, please contact the Hon. Secretary for further details. Newport (South Wales) Branch meet at the Baneswell Social Club on the 1st and 3rd Tuesday of every month, please contact the Hon. Secretary for further details. Monmouth Branch meet at the Conservative Club on the 2nd Wednesday of every month, please contact the Hon. Secretary for further details. 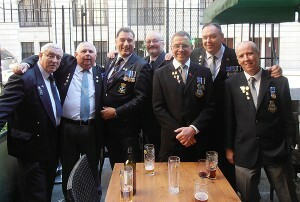 Merthyr Tydfil Branch meet at the Ex Servicemens Club on the 1st Thursday of every month at 1930, please contact the Hon. Secretary for further details. 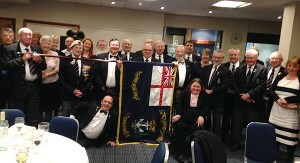 Lydney Branch meet at the Royal British Legion on the 2nd Monday of every month, please contact the Hon. Secretary for further details.